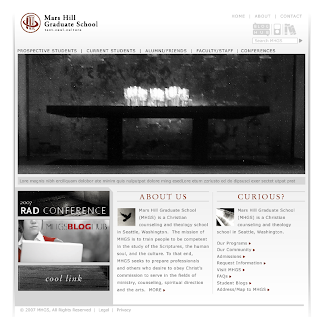 These are three of my in-progress comps for the front page of the Mars Hill Graduate School website. 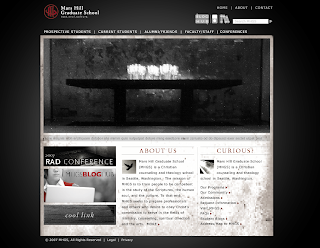 I designed the site from the ground up, including menu structure and typography. 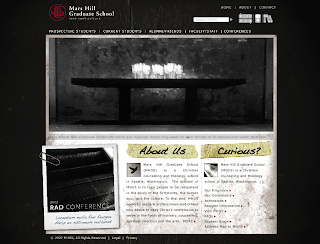 See the implementation of the final design design at www.MHGS.edu.